Mauro Codussi or Coducci (c. 1420–1504) was an architect from Bergamo who worked mainly in Venice. 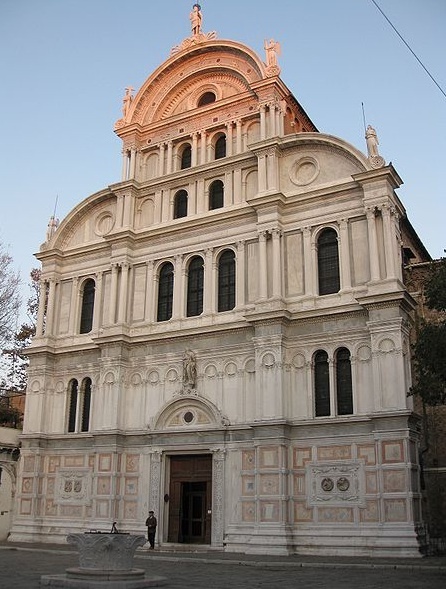 He was a genius at synthesizing traditional Venetian styles with the classical forms of the Renaissance, and the first to use white Istrian stone in his trademark lobed façades. One of the city's most prolific builders, his works include San Michele, San Zaccaria, San Giovanni Crisostomo and Santa Maria Formosa, the staircase at the Scuola di San Giovanni Evangelista, the Torre dell'Orologio, the Palazzo Zorzi, the Palazzo Corner-Spinelli, and the Palazzo Vendramin-Calergi.